Mirror polished stainless steel fusebox full cover for NA/MK1 with laser engraved labels. Perfect slip one cover. Gives another nice touch to the engine bay following the Jass Engine bay mirror polished stainless scheme. 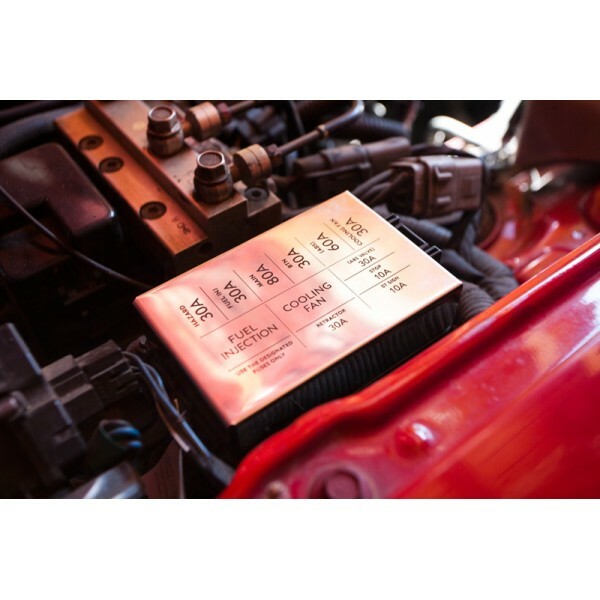 Important: As Mazda had various options through the years, please compare and confirm the labels of your OEM fusebox cover with the options we offer, before placing an order.